Expanded ball park data base! 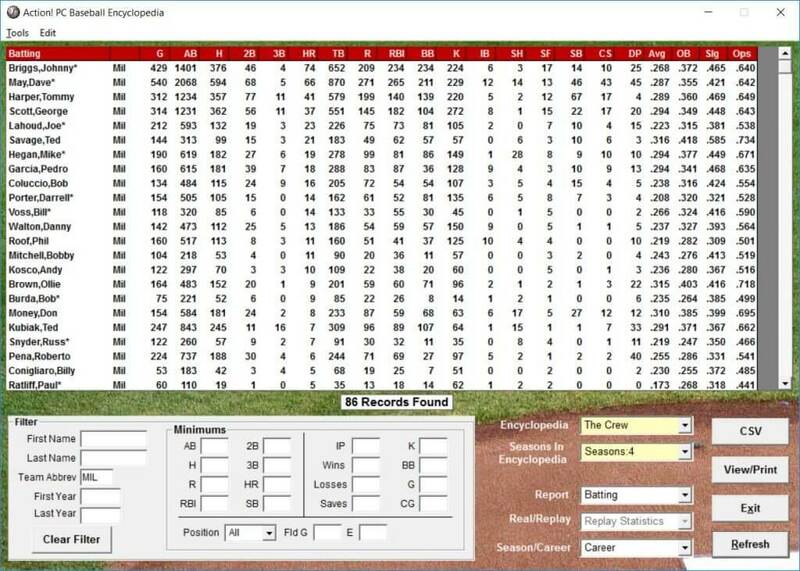 Through a licensing agreement with seamheads.com our ball park data base is updated to include refined ballpark batting adjustment factors, park dimensions, seating capacity, and more! We've also added more than 50 vintage parks to our game package. Park additions include old Federal League, American Association, Union Association, and Players League parks as well as other parks that were occasionally used by the big leagues. 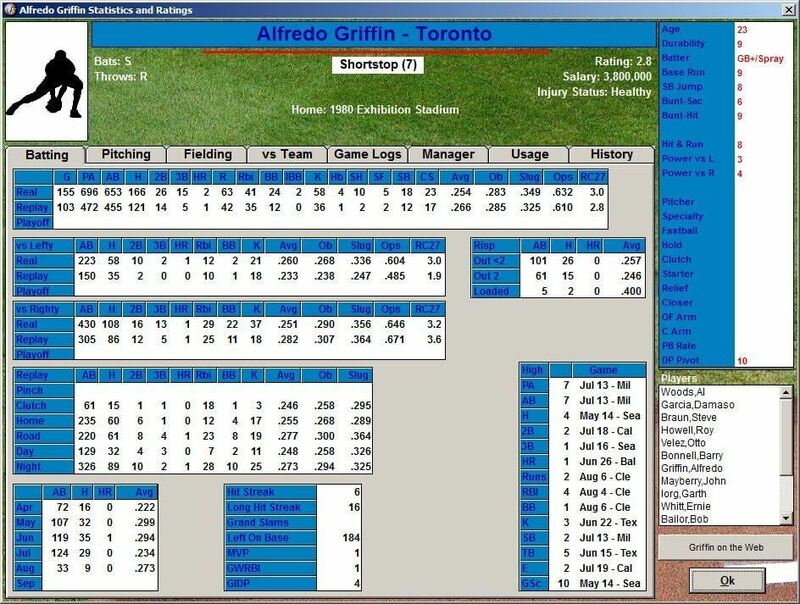 Historical era data has been added for all of the old leagues: Federal, American, Union, and Players! We've also improved game play for 1800's seasons to coincide with the release of 14 vintage seasons: 1884 Union Association, the 1914-15 Federal League, 1890 PLayers League, and 1882-1891 American Association (vintage seasons sold separately). Home and road team uniforms (not included) may now be displayed on rosters, game screen, and other locations. 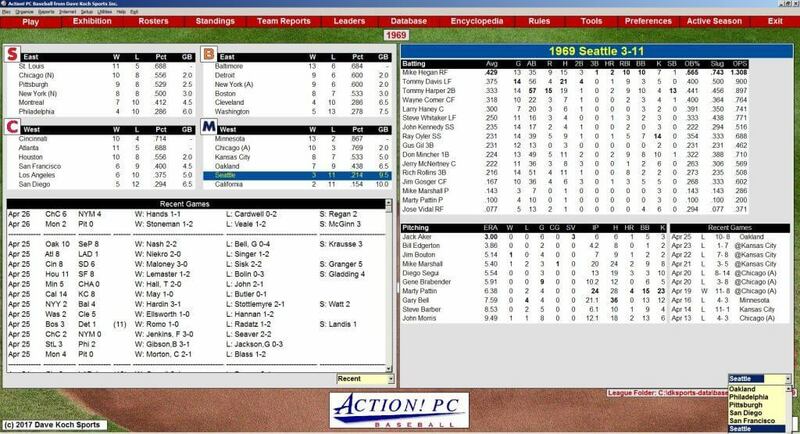 The modify team form has been expanded to allow for easily assigning uniforms and manager photos for each team. 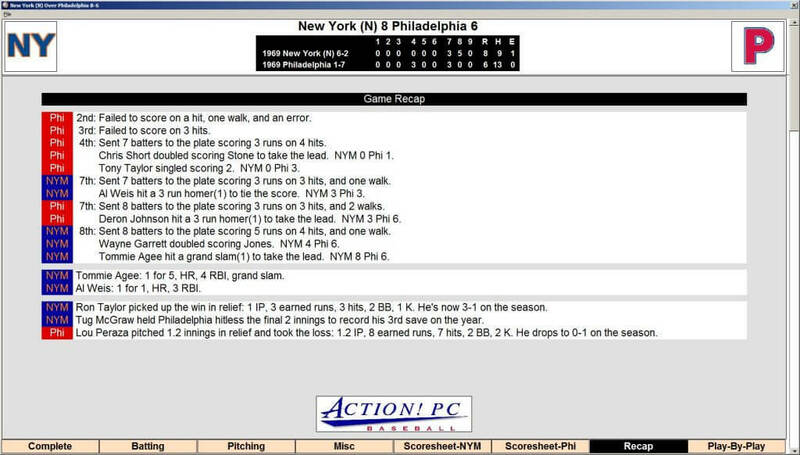 Game screen great play alert has been expanded to display an icon when a fielder's range negatively impacted a play and when the fielder made a "web gem." 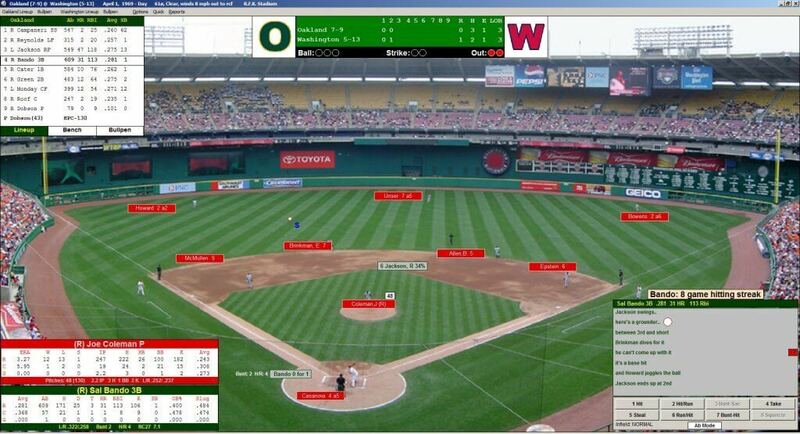 Both poor and great plays are tracked and viewable on the player form. More immersive game managing! Real time manager decision boxes have been added for some line drives to the outfield, risky slow infield rollers, and more. Managers have the option to play it safe or chance a risky dive or throw. 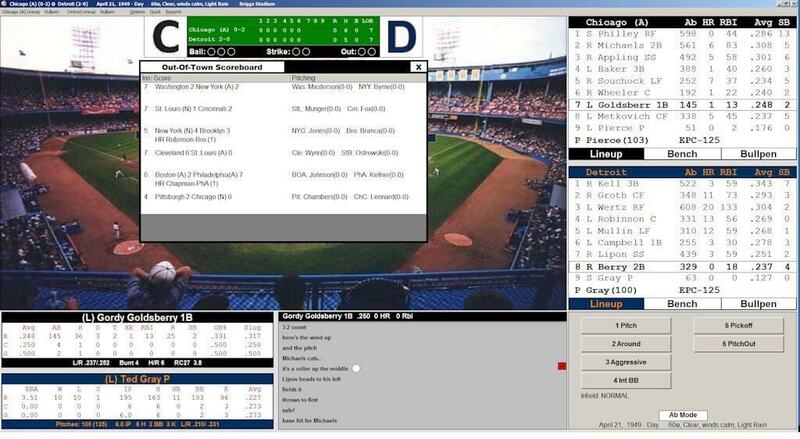 The managers decision box now inlcudes the double play chance percentage to assist in making decisions on whether to throw home or try for a double play.